Australiance Team: Could you tell us more about yourself? 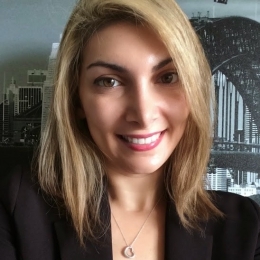 Eda : I’m an accidental immigrant who’s lived in Turkey and USA prior to arriving in Sydney on a work and holiday visa. When I met my partner, who’s Australian, I started an active career as a jumper through hoops to remain on valid visas. A.T: Could you tell us about your professional background? Eda: I worked for the US DEA (Drug Enforcement Agency) office in Istanbul for 7 years before coming to Sydney to visit my brother. In Sydney, I had to invent a marketing career to be eligible for 457 visas. I had 5 jobs in marketing and sales and now work as an account manager for affectors, who do corporate and transformational training. A.T: What do you like to do when you’re not working? Eda: Write and dream that one day I’ll have a series about overly enthusiastic migrants in Sydney trying to make the city their own. A.T: Why did you choose to come to Australia? Eda: My brother lives here. A.T: What is your best memory in Australia? Eda: New Year’s Eve was around the time when I first arrived in Sydney. I shared kisses with my partner at the stroke of midnight on a Milsons Point flat on level 12, having front row seats to the fireworks. A.T: Why did you decide to write a guide for the expats in Australia? Eda: I had a hard time finding a job, finding friends and a community in Sydney because I did not understand the laid-back Australian culture. I wanted to give other newcomers some tips about the regulations, customs and the culture to help them adapt and avoid some of the frustrations I had.